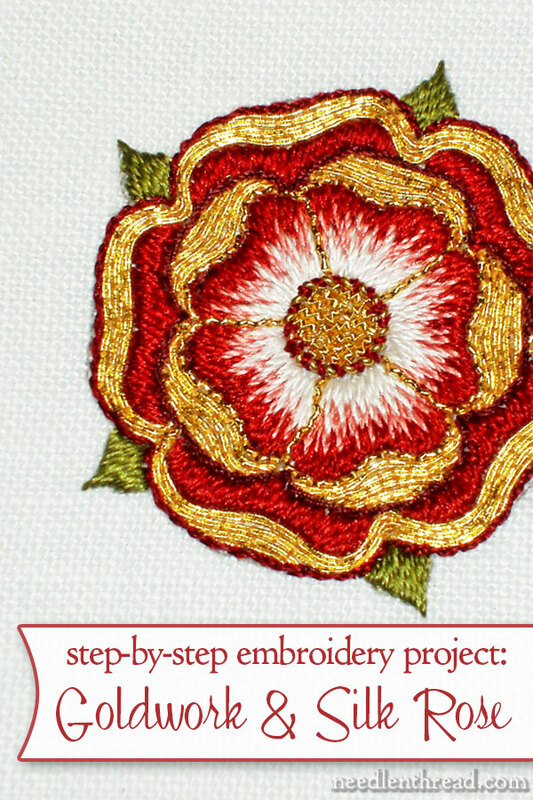 In an effort to keep this series of tutorials on the Goldwork & Silk Tudor-style Rose a little bit organized, I’m created an index page for all the related posts on this project. That way, if you want to come back to this project a little later on, you’ll be able to find all the links in one convenient place, which I’ll include under the Tips & Techniques page here on Needle ‘n Thread. 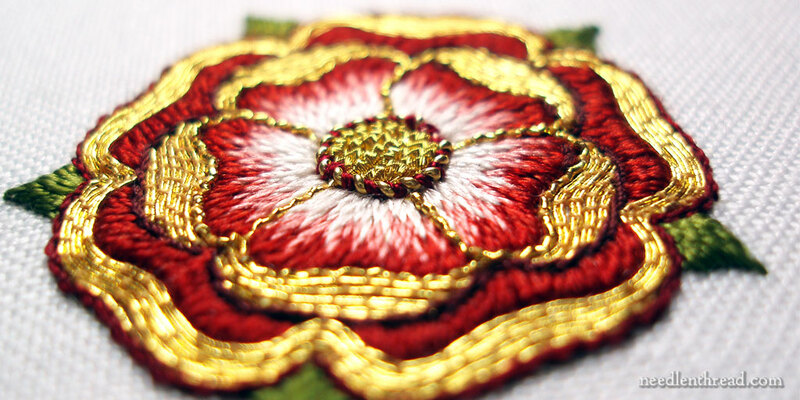 Part 7: Goldwork & Silk Tudor-Style Rose – The Finish! You can find extensive step-by-step instructions for this project and for the entire Marian Medallion project in one e-book – The Marian Medallion Project: from Design to Delivery. All the information, materials, tutorials, tips, and techniques are conveniently collected in this one document, interlinked, referenced, and indexed. The e-book is packed full of all kinds of embroidery tips for undertaking a project like this, all in a convenient electronic format for easy searching. May 27, 2013 Mission Rose: Leaves Accomplished – Rose … Getting There! Thank you! Very beautiful and interesting. is very cute… I did it on my chudi.. I just finished my Tudor Rose. I really enjoyed making it. You can see it on my web site, if you want to take a look. Again, many thanks for sharing your knowledge. I’m interest in working this rose. After you transferred the design how did you mount it. Did you use a hoop or did you use stretcher bars. Thank you for your great daily newsletters. It is wonderful that you freely share all your vast knowledge. Hallo, Thanks so much for your generosity! Does the goldwork and pdf file include pattern(s)?